Fuel The Soul – Lauren Fine L.M.T. Lauren graduated with honors in 2006 from the distinguished New York College of Health Professions, one of the leading colleges of Holistic medicine in the United States. She earned an Associates in Occupational Studies Degree and was selected to receive the respected Clinic Award. She also has a Bachelor of Arts degree from SUNY New Paltz. Her massage styles and modalities include stress reduction massage, Therapeutic, Amma Therapy, Pregnancy, Medical, Deep Tissue, Thai Yoga Massage, Cupping and Gua Sha. Lauren's clients range from professional athletes to the elderly. She has experience working with terminally ill patients including Hospice and cancer patients and with people who just want to reach deep relaxation. Since 2008, Lauren has been an adjunct Professor at New York College of Health Professions, teaching Swedish Technique, Medical Massage and Introduction to Massage Clinic. She is also the Clinic Supervisor at the Integrative Health Center in Syosset, one of the largest and most renowned out-patient Holistic Facilities. 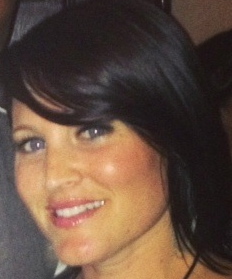 Lauren has worked at the Garden City Hotel and upscale spas, providing quality massage and body treatments. She was selected to be the primary therapist giving on-site chair massage to the employees of the United Parcel Service (UPS). Lauren's mission is to support individuals in achieving life balance through personal wellness. A firm believer in the connection between body and mind, Lauren is a proponent of massage for relieving physical as well a emotional stress, and strongly believes in massage as a modality for enhancing overall health and well-being. Teaching yoga to children is one of Lauren's passions. She became certified in 2008 and has been teaching at Nursery Schools, Summer Camps and of course at Fuel The Soul ever since. Lauren is a professional member of the American Massage Therapy Association, Certified in Thai Massage, Infant Massage, Kids Yoga and CPR/1st Aid. Lauren and her husband, Greg are owners of Fuel The Soul.